I had one of the best experiences with the quail today, and had to get it on video. These quail are being introduced to a 80/20 mix of aged used coffee grounds with triple washed sand. This is not the first post of mine to mention how quail love a dust bath, but they never been this excited by it before. All of the hens are clambering to get their share and the male is sort of left out of it. He wonders back about half way and then towards the end does what he does best. There is something about the texture of dried coffee grounds that makes them effective in the dust bath. Coffee ground granules are smaller and sharper than sand. And unlike dry sand, the grounds bind themselves into harder and harder clumps the more you press on them them, giving you a large surface area of sharp and tightly packed granules – hence their reputation as an exfoliant. Make sure they are dry, and aged is better. The fresh smell of coffee grounds are about as off-putting to a bird as they are to a cat (meaning they will tend to avoid it!). Tags: Dust Bath, exfoliant, Quail, used coffee grounds. Bookmark the permalink. Good advise thanks. Raise quail here and make good food so need to look after. Dusting does good for feathers while keeps them clean. Quite interesting seeing the quail enjoying the dust bath. They look a lot different than the quail that live around my house. Thanks for linking to my blog. No worries Bongo, I’m always on the lookout for good material to link to. 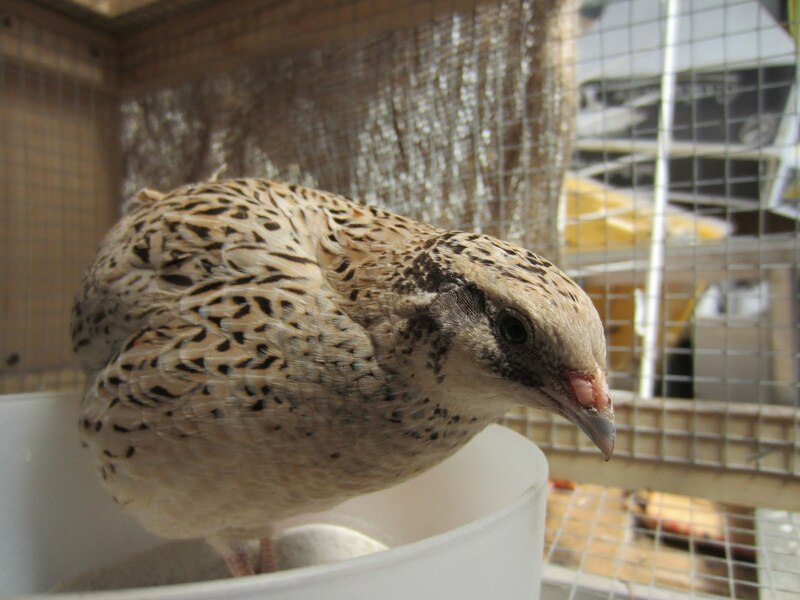 What kind of quail do you have? We have gambel quail living around here. Ahh what a nice looking bird that is. Thanks for letting me know.